MOUNTAIN VIEW, CA--(Nov 27, 2012) - Ninety-two percent (92%) of Medicare beneficiaries are not currently enrolled in the Medicare prescription drug plan (PDP) or Medicare Advantage prescription drug plan (MAPD) with the lowest total out-of-pocket costs available to them, according to new research from eHealth, Inc. (NASDAQ: EHTH). $612 in 2013 over the MAPD they had in 2012. Altogether only thirteen (13%) percent of customers were in the MAPD plan with the lowest total out-of-pocket costs, and only five (5%) of customers were in the PDP with the lowest total out-of-pocket costs. Medicare beneficiaries who visit PlanPrescriber.com or eHealthMedicare.com during the Medicare AEP can quickly and easily compare their existing Medicare Advantage prescription drug plan (MAPD) or stand-alone Medicare prescription drug plan (PDP) side-by-side with the new plans available for 2013. "This year's Annual Enrollment Period runs from Oct. 15 to Dec. 7, which means Medicare beneficiaries have fifty-four days -- about eight weeks -- to review their coverage and make changes if their old plan is no longer a good fit," said Ross Blair, CEO of PlanPrescriber.com. "Last year, more than forty percent of customers waited until after Thanksgiving -- the last nine days of AEP -- to conduct their review. This snapshot of AEP user sessions underscores the value of participating in AEP and not waiting until the last minute to review your coverage options." After calculating all costs -- including monthly premiums, co-pays and deductibles -- the session data found that changing to the plan with the lowest overall out-of-pocket costs could save the average user with a Medicare PDP $668 in 2013, and $612 in 2013 for the average user with an MAPD. The 2013 Medicare AEP Snapshot Survey also found that the average customer will spend $1,937 in 2013 with their existing Medicare PDP, and $1,837 in 2013 with their existing MAPD. A customer's total out-of-pocket spending can change significantly from year to year even if their medication usage stays the same. The cost to the consumer typically changes if their insurer alters elements of their drug plan for the coming year. For example, insurers may change the drugs covered by the plan; the plan's premiums, deductibles, coinsurance and co-payments; and/or the drug tier system. Drug tiers establish different cost-sharing requirements for drugs based on the tier in which the insurer places them. Any one of the changes listed above can impact a consumer's out-of-pockets costs from year to year. As a result, the lowest-cost plan for an enrollee in one year may not be the lowest-cost plan the next. 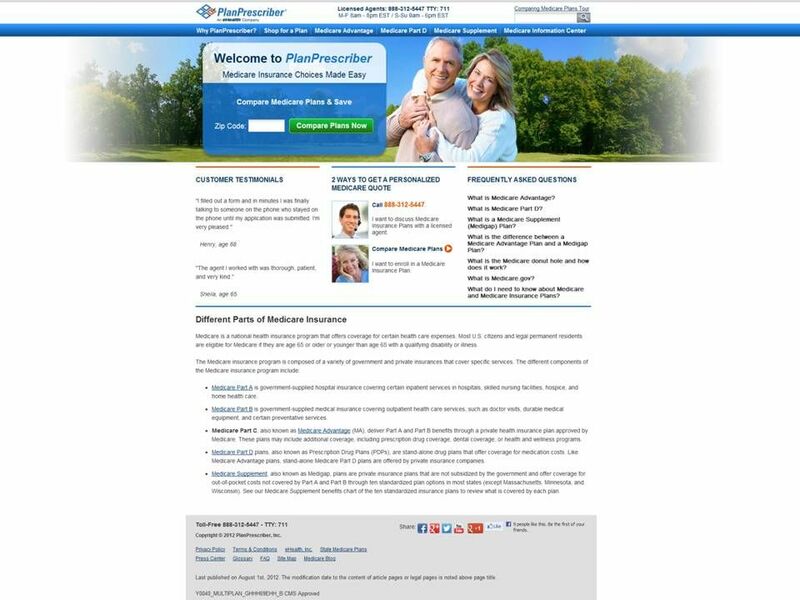 This report analyzes more than 3,000 user sessions that occurred on PlanPrescriber.com between Oct. 15, 2012, and Nov. 2, 2012, the first three weeks of Medicare's 2013 Annual Enrollment period. Over 3,000 user sessions occurred in which a person entered their current PDP or MAPD and at least one prescription drug they were taking. The information users were required to provide in order to be counted as currently enrolled in a PDP or MAPD included their ZIP code; the name of their existing Medicare PDP or MAPD; and the names, dosages and frequency of at least one prescription drug they're taking. Average annual savings were calculated by subtracting the customer's total estimated out-of-pocket spending on their current plan -- including monthly premiums, deductibles, coinsurance and co-payments -- from the estimated out-of-pocket spending on the plan recommended by PlanPrescriber's Medicare insurance plan comparison tool. For price comparison, this study assumes no changes in prescription or medical needs, as well as no changes in rates or drug prices during the applicable time period. The actual savings calculated from these user sessions can vary depending on things like geographic location, plan selection and other factors. The benefits and coverage may also vary between plans. The average savings calculated in this report is based on the user sessions that took place exclusively at PlanPrescriber.com. eHealth, Inc. (NASDAQ: EHTH) is the parent company of eHealthInsurance, America's first and largest private health insurance exchange where individuals, families and small businesses can compare health insurance products from leading insurers side by side and purchase and enroll in coverage online. eHealthInsurance offers thousands of individual, family and small business health plans underwritten by more than 180 of the nation's leading health insurance companies. eHealthInsurance is licensed to sell health insurance in all 50 states and the District of Columbia. Through the company's eHealthTechnology solution (www.eHealthTechnology.com), eHealth is also a leading provider of health insurance exchange technology. eHealthTechnology's exchange platform provides a suite of hosted e-commerce solutions that enable health plan providers, resellers and government entities to market and distribute products online. eHealth, Inc. also provides powerful online and pharmacy-based tools to help seniors navigate Medicare health insurance options, choose the right plan and enroll in select plans online through its wholly-owned subsidiary, PlanPrescriber.com (www.planprescriber.com) and through its Medicare websitewww.eHealthMedicare.com.